It is no doubt that you can download lots of media files like music, videos and podcasts directly to your iPhone, and Apple also make it possible to transfer podcasts from iTunes library on the desktop computer to iPhone devices. However, it could never be the same case with transferring podcasts from your iPhone back to iTunes library, because iTunes will never lets you to reach the goal directly due to its copyright and authority protection. Therefore, if you have the need to transfer or move iPhone podcasts to iTunes library on the desktop computer, you'd better to ask for help from a reliable yet professional iPhone to iTunes Transfer program. With it, transferring podcasts from iPhone 6 Plus/6/5S/5/4s to iTunes library could be a simple task for you and never bother you any more. To achieve the goal, here we could like to strongly recommend MobiKin Assistant for iOS. 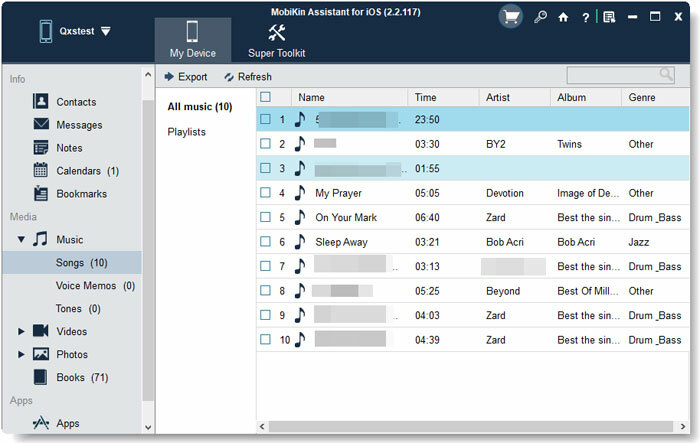 It allows users to preview the file list in the program and backup their needed podcasts or other files like music, movies, photos, etc. on the desktop computer selectively or in a batch. It can greatly improve your working efficiency, and you never need to be worried about your personal information on the iPhone. All personal info will be protected well and you can use the program to manage files on your other iDevices like iPad, iPod touch, etc. without limitation. 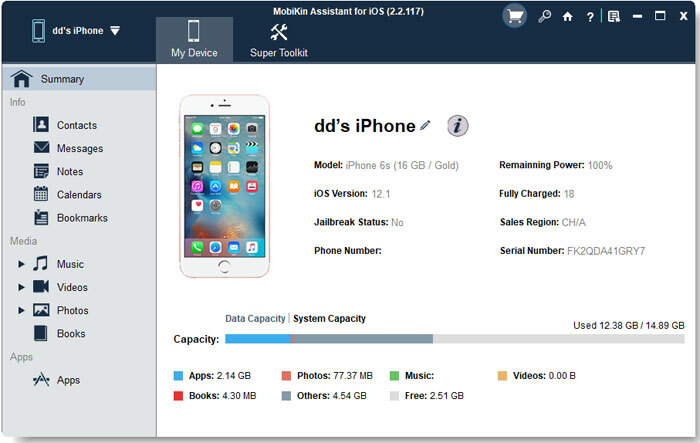 Furthermore, in order to satisfy more user's needs, MobiKin also release the Mac version for your reference - MobiKin Assistant for iOS (Mac Version). Now, just click the below icon to take a free trial on the powerful program. One thing you should pay attention here is that iTunes must already be installed on your computer for running this program. But it is no need to run iTunes before. Click "Podcasts" option in the left panel to preview the detailed podcasts list in the program. Then you're allowed to mark all podcasts you need by ticking the box besides the file. If you have selected all files you need, you can click "Export" button to export and save the iPhone podcasts to your desktop computer with zero losing. After that, you can find the output folder and run the iTunes on your computer, then sync the exported iPhone podcasts to yoru iTunes library easily. How to Transfer iTunes Library to External Hard Drive? How to Transfer Music between Windows Media Player and iTunes? How to Email iPhone Photos/Videos? How to Perform ZTE to iPhone Data Transfer? How to Transfer Contacts (Phone Number, Email Address, etc.) from iPhone to iPhone?